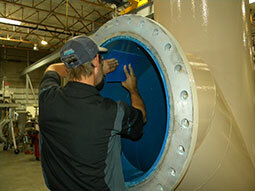 DXP’s service and repair centers provide full rotating equipment repairs using trained technicians and a strong commitment to keep your systems operational. 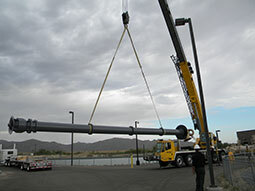 Our company specializes in refurbishing and upgrading your equipment while minimizing maintenance and operational costs. When you choose DXP as your repair source, you can be confident in our technical support and high degree of professionalism. 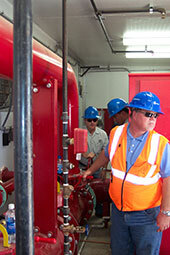 DXP repairs all manufacturers’ pumps, blowers, gearboxes and rotating equipment. We are a primary repair source for oil and gas, power, mining, municipal, food and beverage, semiconductor, chemical/pharmaceutical and general industrial sectors. In addition, we offer 24-hour service and an extensive parts inventory, which allows us to perform onsite service to minimize downtime. In addition, we have a fleet of service vehicles to provide a turnkey repair quickly and efficiently. Detailed reports and photographs also are made available.